As South Africa’s ruling party battles to bounce back from a succession of scandals and extend its quarter-century monopoly on power in next year’s elections, it has a key advantage: a wounded opposition. By forcing the unpopular Jacob Zuma to stand down as president in February, the ANC deprived the Democratic Alliance and Economic Freedom Fighters of their biggest electoral asset. The DA has also been dogged by infighting in its Cape Town stronghold, while the EFF is facing allegations that it received funds illicitly diverted from a failed bank. 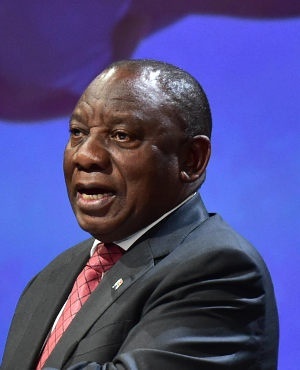 That’s boosted the odds President Cyril Ramaphosa, 66, can win a strong enough mandate in May to strengthen his grip on the party and follow through on pledges to clamp down on graft and revive a flagging economy. Polls commissioned by Ipsos, the Institute of Race Relations and the ANC itself all show the party maintaining its grip on parliament, though down on the 62% it won in 2016. Just two years ago, the ANC appeared at risk of losing the majority it’s held since the first multiracial elections in 1994 when its support tumbled to a record low of 54% in a 2016 municipal vote - a backlash against endemic corruption during Zuma’s almost nine-year rule. The DA secured control of several big cities, while the EFF’s populist policies bolstered its support among young, urban voters disenchanted with rampant poverty and an unemployment rate that now stands at 27.5%, one the world’s highest. The ANC began to claw back ground after Ramaphosa, a former labor union leader who helped negotiate an end to apartheid and led the drafting of the country’s first democratic constitution, edged out Zuma’s ex-wife and preferred successor, Nkosazana Dlamini-Zuma, to win control of the party in December. Since assuming the nation’s presidency, Ramaphosa has fired several ministers and senior managers of state companies implicated in graft, and spearheaded a drive to attract $100bn in new investment. But the 106-year-old ANC isn’t completely out of the woods. Its leadership battle caused deep and enduring divisions in its ranks and Zuma allies continue to occupy key positions in the cabinet and party, including Secretary-General Ace Magashule, limiting Ramaphosa’s room to maneuver and restore public trust. Revelations that Ramaphosa’s campaign for the ANC leadership received a donation from a firm with links to his son and he gave incorrect information about it to parliament also threaten to undermine his anti-graft drive and alienate voters. While the president said his mistake was inadvertent and the money would be returned, the opposition called for a judicial probe. At the same time, the DA has been rocked by a fallout between its national leadership and former Cape Town Mayor Patricia de Lille. She was forced to resign after she was accused of interfering in a management appointment and blamed for the city obtaining a qualified audit report because two tenders were found to have been irregularly awarded. De Lille, who denies any wrongdoing, now plans to start a new political party. That could cost the DA support in the Western Cape, the only one of the nine provinces it controls, because De Lille remains popular there particularly among fellow mixed-race residents. The EFF has been stung by reports that it and some of its top leaders received millions of rand looted from the failed VBS Mutual Bank. While the party says it has uncovered no evidence of wrongdoing by its officials, law enforcement agencies and parliament are investigating the allegations.